E107 Breisch-Williams series card featuring Hall of Fame pitcher Eddie Plank of the Philadelphia Athletics of the American League. 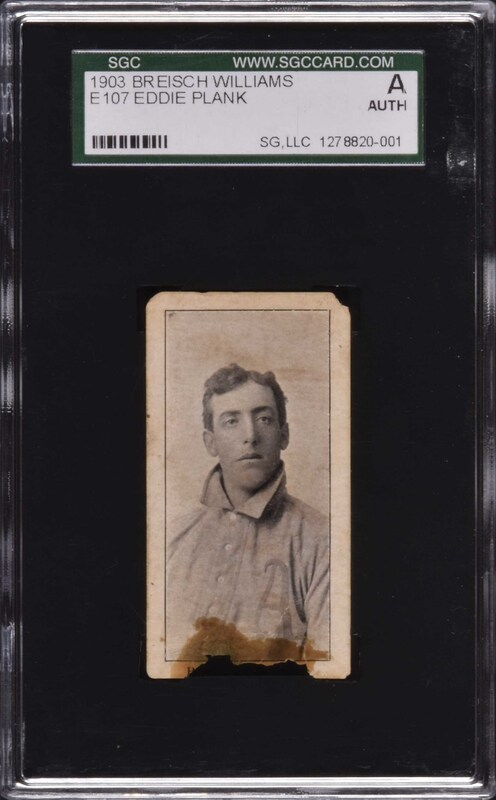 All E107 cards are extremely rare, but an example of Hall of Famer Eddie Plank is especially desirable to serious collectors, both because this is recognized as one of his earliest cards and because the portrait is the same as that appears on his famous T206 card. (Interesting note: The E107 Plank is much rarer than the T206 Plank.) Issued in 1903, E107s have long been revered by collectors. This set represents the only major baseball-card set of the era, features many players that appear in no other sets, and includes the first cards ever issued of many important stars and Hall of Famers, including Eddie Plank. 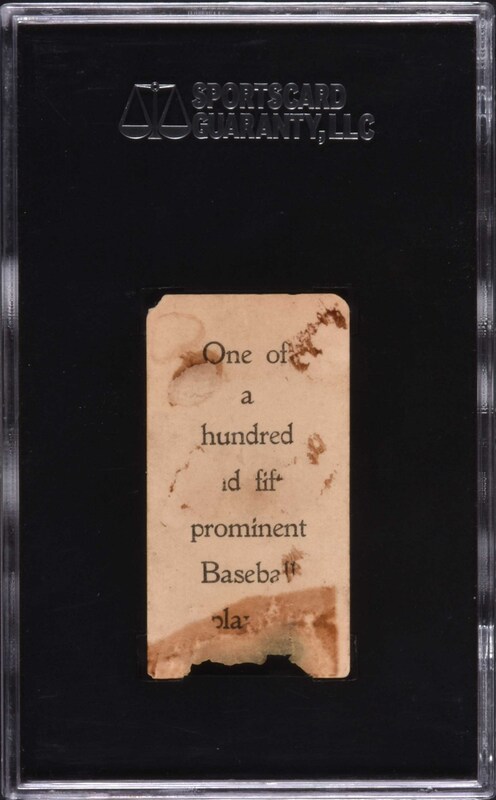 The card displays various condition problems including rounded corners, a large chip out of the bottom border, areas of staining, and paper loss on the reverse. The card has been encapsulated as Authentic by SGC. Despite the obvious condition problems, this is a very presentable and desirable low-grade example of this extraordinary rarity. Reserve $500. Estimate (open).